Posted on Monday, January 15th, 2018 at 2:07 pm. With more and more individuals and families choosing to renovate, greater industry spending is predicted for 2018. Having seen positive spending growth for the last six years, 2018 will see a decline to the rate of increase from previous years, but none the less still further grow. It’s thought a slowing UK economy alongside sharp rising costs are the reason behind the growth being less significant than previous years. Technology is rapidly developing within a variety of sectors around the world, with renovation and construction included. 2018 should see developments in virtual and augmented reality supporting the industry. These advanced projection technologies should help design and showcase new projects, builds and renovations. Additional technology such as usage of drones and 3D printing are also beginning to be utilised more and no doubt this will continue to grow throughout 2018 and the foreseeable future. Renovation and construction is still undeniably one of the most hazardous industries to work in. With the devastating consequences from Grenfell Tower in 2017, 2018 will see increased developments for safety measures on all renovation projects no matter the size and scale of the project. Significant pressure is in the hands of builders, renovators and constructors to ensure property developments are made as safe as possible to life-threatening situations. As you can see, there are lots of exciting and innovative new trends to be expected in 2018. We looking forward to leading and following how our industry develops over the coming months! 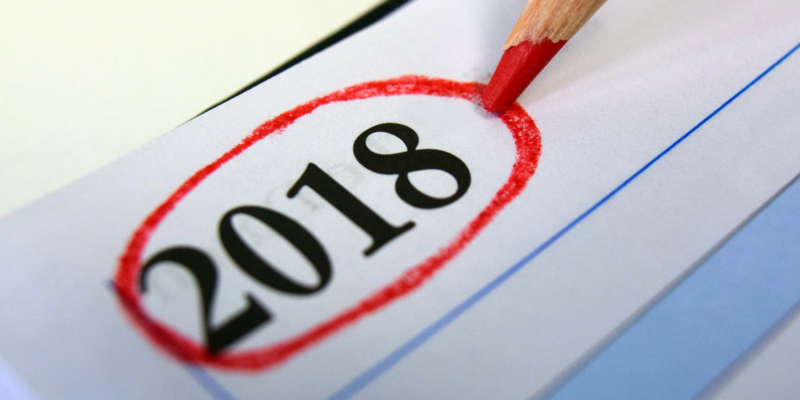 So how do you ensure your renovation projects runs without a hitch in 2018? Have you considered Renovation Insurance? Dedicated cover to protect your property and the works during your renovation. Renovation Insurance Brokers offers the most comprehensive cover for projects ranging between £50,000 and £50,000,000. The insurance market can be a very confusing place, with various brokers and insurers all vying for your business. Working specifically and only in the contract works sector, we pride ourselves on offering a specialist service dedicated solely to these projects. With over 25 years’ of industry experience, we’re confident we can offer you the best insurance available on the market. If a renovation project is on the cards for you in 2018, our underwriters would be happy to have an informal chat to tell you more about renovation insurance and share insights on project considerations more widely. Posted on Wednesday, November 15th, 2017 at 12:03 pm. If you’re in the midst of planning for a large scale renovation, you’ll know first-hand that there are many areas to consider and questions to answer when undertaking a large scale renovation project. From costs and contractors to timings and resources; all factors surrounding your project need to be carefully deliberated. One factor that often isn’t an area of consideration is renovation insurance – but why is this the case? Worryingly, an estimated 82% of homeowners are completely unaware their home insurance doesn’t cover them during renovation works. This means that, in addition to project related risks, standard risks such as fire or theft are no longer covered whilst your property undergoes renovation. In the worst case scenario, you could be completely uninsured. Another common mistake is automatically assuming that the contractor’s Public Liability insurance will cover third party property damage or injury whilst works are taking place. It’s important to bear in mind that, if you are involved in any aspect of project managing contractors on site, the liability could fall on you should things go wrong. We can advise you whether or not you will need to buy liability cover in addition to your contractors cover. So, how do you avoid the pitfalls of limited insurance during your renovation project? The clue is in the name – have you considered Renovation Insurance? Dedicated cover to protect your property and the works during your renovation. Renovation Insurance Brokers offers the most comprehensive cover for projects ranging between £50,000 and £50,000,000. 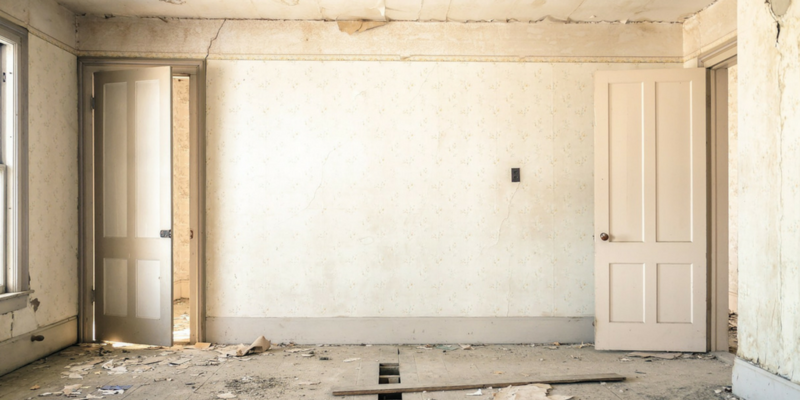 If a renovation project is on the cards for you, our underwriters would be happy to have an informal chat to tell you more about renovation insurance and share insights on project considerations more widely. Contact us here. Posted on Tuesday, October 10th, 2017 at 3:13 pm. With a four-year restoration project silencing the bongs of Big Ben on the 21st August, the government reported in spring of 2016 its restoration project of the iconic London clock would come it at £29 million. 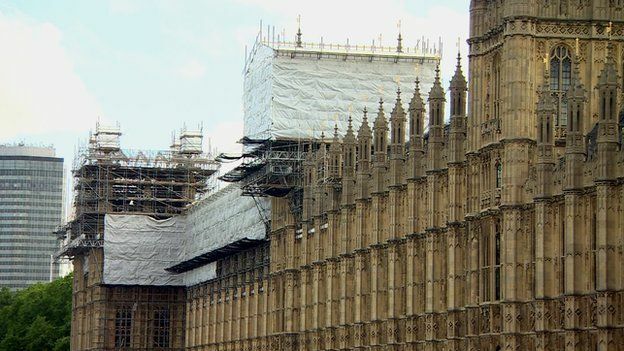 Over a year since cost estimates were established and just under two months since the project began, Parliamentary authorities have now reported that the cost for the renovation project will double to an estimated £61 million, as shown in The Independent. So often when starting a renovation project, many people do not know where to begin with estimate costings. Naturally no one wants to go over budget, but so often failures in accurate estimations can lead to increased costs, unexpected costings and in some cases unwanted additional fees. With Big Ben’s cost doubling in less than two months on task, it goes to show it’s not just inexperienced renovators who end up going over budget. Have a contingency budget of 20% — so if you would like to spend £50,000, then work on costs of £40,000 and keep that remaining £10,000 for contingency. Certain items may be inevitable and in turn eat in to your budget more than expected. Ensure you set a budget, and once your budget is set make your renovation design choices based on that – and not beforehand. Once your budget is set, you will be able to establish if your renovation goals are achievable within that range. A fairly self-explanatory point to note. But as you may expect, changing your plans during your project can lead to additional costs. Moreover, altering plans when working with professionals can also incur extra fees from the changing of plans, additional time then needed for the project and lastly additional work from staff on site. Whilst still not offering completely defined costings, utilising a building calculator such as this one can help enlighten inexperienced individuals to establish rough costing ideas for renovations. 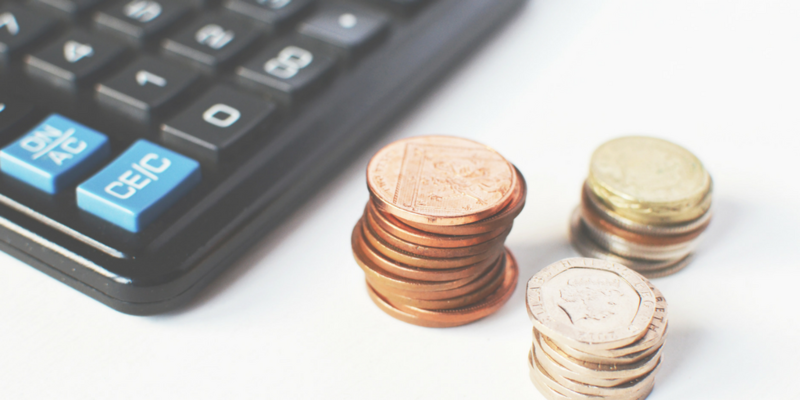 An estimation calculator can be a good starting point to research likely costs where you may be uncertain as to how much materials and renovation tasks may cost – and in turn helps to work out if your budget aligns with your intended plan. Whilst from the outset, your renovation project may appear to be relatively clear and simple, don’t forget about hidden costs that may occur from your project. For example if you are looking to remove current fittings in your property, don’t forget about the removal of excessive rubbish. Skip hire costing are often forgotten about and can take thousands of pounds out of your budget depending of sizing, time needed on site and collection and removal from your property. 5. Invest in renovation insurance to cover any unexpected damages affecting your costs. Naturally damages or issues can occur whilst renovating a property, which in turn can create additional costs. Protecting your property upfront with dedicated renovation insurance is essential – providing peace of mind if any insurance related issues do arise during your project. Find out more about the principles of renovation insurance here. It’s a surprise to many that their property renovation is not likely to be covered by standard buildings insurance. We discuss just some of the risks that will not be covered in this article. If a renovation project is on the cards for you, our underwriters would be happy to have an informal chat to tell you more about renovation insurance and share insights on project considerations more widely. Posted on Tuesday, September 12th, 2017 at 10:13 am. It’s no secret a happy employee is a productive employee – and that goes no matter the sector your business is based in, including insurance. Statistics from the University of Warwick in 2015 revealed that happy employees can be as much as 12% more productive than their unhappy counterparts. So can your business really afford to employ unhappy brokers? But how to keep your brokers happy and therefore motivated? A simple Google search can reveal numerous tips and tricks to keep your employees happy, with suggestions such as flexible working, showing appreciation and team building all frequently being advised as methods to increase staff happiness. Another recommendation that can sometimes be missed is fostering career development. Providing your staff with additional training makes your employees feel valued and that you genuinely care about their career development. This is where Renovation Insurance Brokers come to the rescue of brokers around the UK. We offer CPD (Continued Professional Development) training to brokers covering all aspects of renovation insurance in the sector. Our training is completely free and can help re-motive your employees by providing additional industry insight and a firmer understanding of the end client’s perspective when undertaking a large scale renovation project. Courses are running between September-December this year; taking place on a variety of dates around the country. The two hour session can run at a time that’s most convenient for your organisation, and its engaging format works well for little or many. Ready to get your broker workforce more engaged? Take a look at the current dates and express your interest online here. Alternative dates and locations can also be offered should timings not be best suited to your employees. 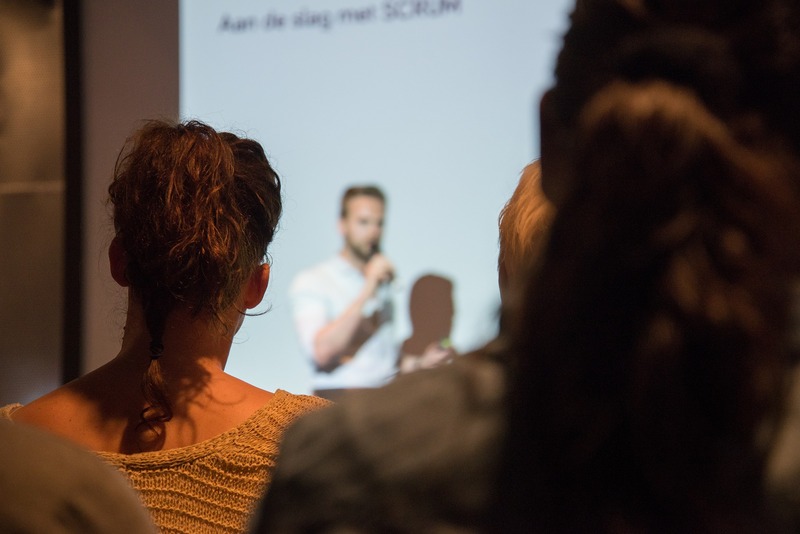 Please note that a current Terms of Business Agreement (TOBA) with Renovation Insurance Brokers is required in order to benefit from this free CPD training opportunity. Posted on Thursday, August 3rd, 2017 at 2:37 pm. Fears about basement excavations aren’t new, with local residents often concerned with what can be years of building work misery. What is new though is the emergence of Local Neighbourhood Plans which set guidelines for development in a particular area – and the plans for this particular basement are said to go against Camden’s new Local Plan. The Local Plan, adopted by Camden council on July 3, states that basements must not be built under existing basements. It remains to be seen what conclusions come from this new row. One thing we can conclude though is it’s evident that digging deep with a basement excavations is still very much in the minds of property owners and developers. Interestingly, it’s not just homeowners with limited land that are considering this approach either. Only this month, the Guardian has reported that former farm land in Hounslow is “set to get the ‘mega-basement to end all mega-basements’ as £50m-worth of gravel is excavated to create the UK’s biggest subterranean space, with a new public park on top”. Not quite a renovation project nor the type of basement excavations that we’ve seen in London so far, but a clear example of the continuing desire to gain more space in city locations and the excavation approach that makes it possible. Planning a renovation project and considering a basement excavation as part of the development? 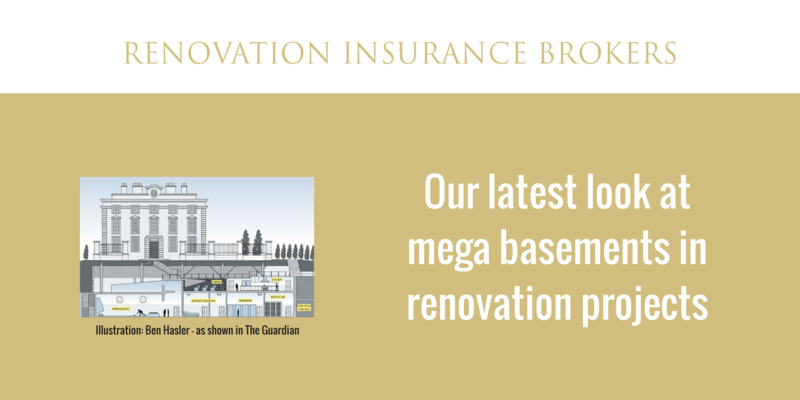 If so, you’ll find our article on key insurance considerations for basement conversions will make interesting reading – outlining the top questions to ask and answer before any basement project gets underway. Posted on Wednesday, August 24th, 2016 at 3:14 pm. It’s been over a year since we last reviewed the extensive renovation works taking place at the Palace of Westminster, which can be read here. The previous now modest looking figure of £1bn sent alarm bells ringing, however according to an independent report, works could now cost an eye-watering £5.7bn, with some experts warning the cost could even spiral as high as £7.1bn over the duration of 32 years. As renovation insurance experts, experience tells us that the majority of renovation works tend to overrun, and we can only expect this to be the case with a project as colossal as this. The cheapest option would involve parliamentarians leaving the building entirely for six years at an estimated cost of £3.5bn, with a partial move out costing £3.9bn. With Members and Peers set to discuss the issue next year, the report’s summary suggests that whilst it does not seek to advise Parliamentary authorities which option to choose, it concludes that “a full move out is described by providing the best opportunity to mitigate risks, but the report recognises this would create logistical challenges”. Under all scenarios work would be unlikely to start before 2020. Enough time to find suitable renovation insurance cover perhaps? Posted on Tuesday, June 28th, 2016 at 12:26 pm. 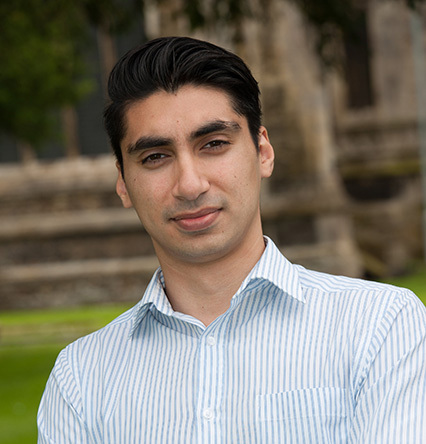 Our Marketing Executive, Naweed Darr, gives us the lowdown on what it takes to be good at marketing in the insurance industry. I got into this in the beginning because… I wanted to study a creatively orientated business degree; undertaking a BA (Hons) in Advertising and Marketing at De Montfort University in Leicester. I loved the idea of producing exciting campaigns for products and services. The opportunity that presented me… at Renovation Insurance Brokers was a very unique and special one. I had the opportunity to join the organisation as an intern in the summer of 2015, as the organisation started to build its marketing activity. The impact of our proactive marketing activity was evident and since then I have taken the role of Marketing Executive to coordinate the varied number of campaigns across the organisation – such as the Brokers CPD campaign. Looking back now, accepting the opportunity was a great decision and I look forward to the bright future ahead with this company. We all know that insurance… is hugely important but it’s not necessarily a sector that has a history of being dynamic in marketing terms. Here at Renovation Insurance Brokers, we work hard to look at new ways to engage with our audiences, in a unique and impactful way. With so much ‘noise’ and promotional clutter already present, it’s become ever so easy to fade into the background. I believe the key to communicating effectively is to be creative, unique, relevant and targeted in your messaging. It seems obvious but you’ll be surprised how many fail to do so. The challenge with renovation insurance… is that whilst it’s an important requirement within any renovation project, many a time, it’s not something that is considered until very late on in the process. Therefore, part of my role is to ensure that we communicate our message effectively in all the right places in accordance with our three key markets -architects, brokers and renovators. I believe the key is to create an open two-way dialogue, in which we can adapt quickly to the behaviours of our audiences whilst developing an exceptional brand experience around them; remaining true to our existing brand identity that has steadily developed over the years. I’m fascinated by… how fast paced the insurance industry can be at times. As a marketer it definitely helps to keep me on my toes. I’m constantly having to keep up to date with hot topics and trends and tailor our messaging to match our audiences expectations, whilst doing so in a precise and timely manner. Whilst I keep up to date through various sources, nothing quite beats networking events where I get to meet people in person and develop real business relationships. For marketing enquiries, contact Naweed directly on 01480 226 048 or alternatively by email on [email protected]. Be sure to connect with Naweed on LinkedIn and stay up-to-date with the latest company and sector news by following Renovation Insurance Brokers on Twitter. Posted on Friday, April 29th, 2016 at 10:19 am. 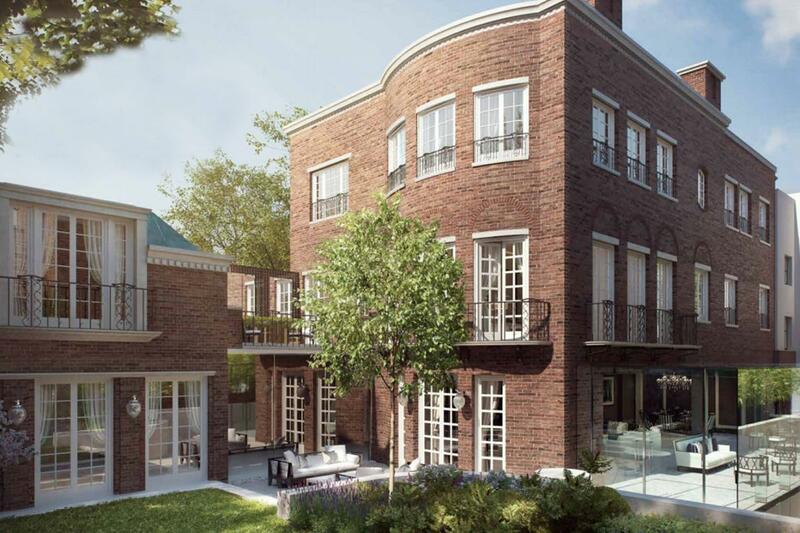 A row has erupted over what have been called “horrifying” plans to double the size of the former London home of prima ballerina Dame Margot Fonteyn. The excavation of a huge basement and the addition of an extra storey on its rooftop are set to transform the property – but it’s not all plain sailing. Amberwood House, opposite the Victoria and Albert Museum in South Kensington, was sold in 2011 to developer Prime London Holdings; who are thought to have paid £12.5 million for the then run-down house. The developer obtained planning permission to excavate a basement in the Twenties building and has recently unveiled plans to add a level on the roof too, which it is expected will be passed by Kensington and Chelsea council’s planning committee shortly. The total works would increase the footprint from 6,167 sq ft to 14,000 sq ft and could increase the property’s value to more than £50 million. The basement works at the property are already underway. As the experts in placing high value renovations, it’s no surprise that we are asked to provide cover on a large number of basement excavations. This type of building work sees no signs of abating despite the negativity they can face. We always encourage clients to follow basement conversion best practice – something that we can confidently advise on thanks to our many years working on projects of this nature. It’s fair to say that the work at the former home of the prima ballerina has not gone down well – with the neighbours’ views that the plans are out of keeping with the area. And that’s before you even get into the “constant construction disruption” sited by another who lives nearby. This response isn’t a surprise. We see lots of cases where neighbours get extremely frustrated. Keeping neighbours happy as far as it’s possible to do so is always good advice. We just hope the developers of Amberwood House have good quality Party Wall insurance – it’s essential as, although it won’t remove the disruption, it will protect any neighbouring properties. The Party Wall Act (which came into force in 1997 and applies throughout England and Wales) makes a property owner responsible for any damage that their renovation project may cause to a neighbour’s property. It remains to be seen how the renovation at Amberwood House fully develops –it’s certainly a big project, and one that will certainly require bespoke renovation insurance. It is projects like this that we insure each and every day. Contact us to find out more about our work with large scale renovations.